6 oz. Cotton Tubular Jersey. 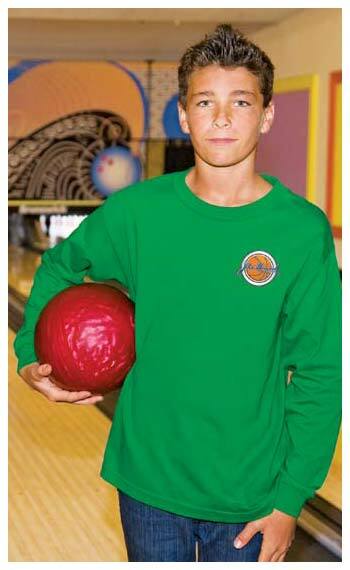 W e supply Long Sleeve Youth T-shirts, customized with your logo at the lowest prices in the USA and Canada . Free artwork design. American clients pay no taxes. Our Youth Long Sleeve T-shirt is made from American cotton from South Carolina. Our brand of Long Sleeve Youth Tee Shirt is Alstyle. It is also purchased by Nike, Roots, Reebok, Tommy Hilfiger and other well-known retailers. 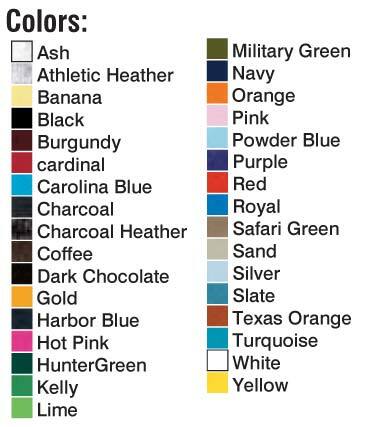 The long sleeve youth T-shirt colors are solid, not see-through (this applies to white long sleeve youth T-shirt as well). We can imprint the long sleeve youth T-shirt in up to 6 silk-screen colors or in full color on either front, back, breast or sleeve. Please contact us for more info. Typical Production: 7 days after art approval. Contact us for full pricing details and prompt quotes. Unit prices below include the long sleeve T-shirt and your 1-color custom imprint. Add the amount shown for each additional imprint color. Setup Charges: $20.00 per imprint color, per location. No Setup Charges on repeat orders.